Lack of hydration or "dehydration" is at epidemic levels in our society. Without appropriate hydration, a person's organs are subjected to an inordinate amount of stress. Our health and well-being is truly dependent on the quality and quantity of the water we drink. But are we absorbing it??? Cellular dehydration is the result of insufficient water intake (1/2 oz of water daily per pound of body weight... 100 lbs = 50 oz ...150 lbs = 75 oz, etc.) and reduced cell permeability or lack of cell absorption. 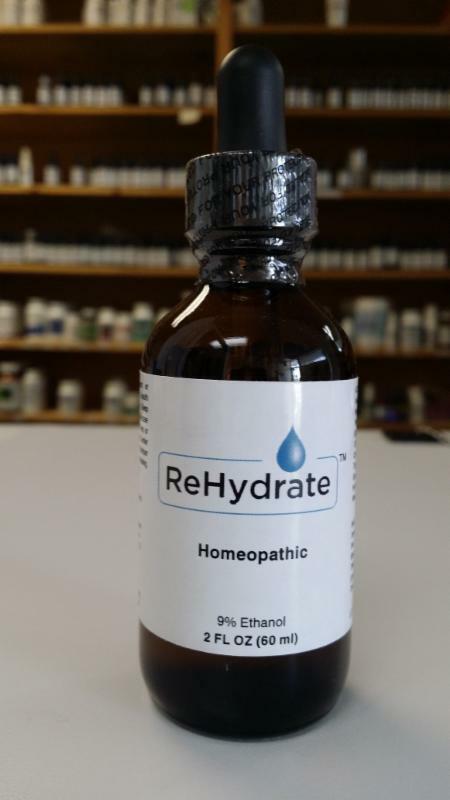 ReHydrate is Dr. Snyder's proprietary blend of herbs and homeopathic remediesspecifically formulated to increase cell permeability, thus driving water into the cells. Only what absorbs counts. ReHydrate also supports the kidneys and other organs/glands that are critical to proper hydration. Water is the basis of all life, and that includes your body. The muscles that move your body are 75% water; the blood that transports nutrients to your body is 82% water; the lungs that provide you with oxygen are 90% water; the brain, the control center of your body, is 76% water; even your bones are 25% water. Increases circulation, reduces inflammation and helps in weight loss.